Like just about everybody else who flies model rockets, I began my model rocketeering adventure by building and flying an Estes Alpha model rocket. 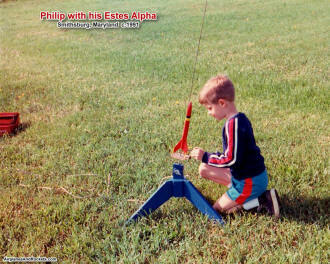 When it came time to introduce my son, Philip, and daughter, Sally, to model rocketry, an Alpha was the natural choice. The photos below were taken in our yard in Smithsburg, Maryland, sometime around 1991. 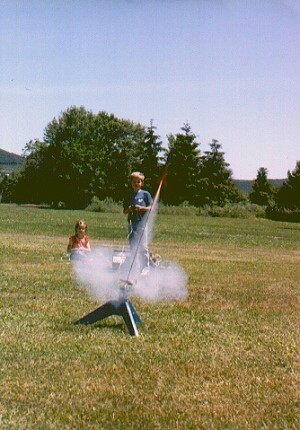 As you can tell by the severe angle of the launch pad (custom-built), the winds were rather high that day. 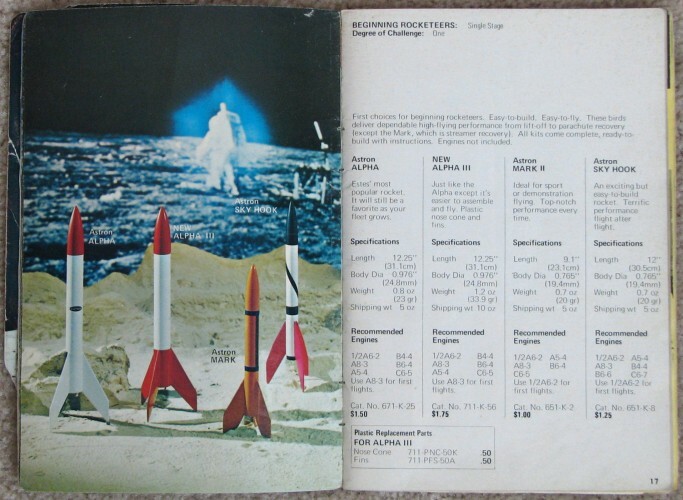 Pages 16 and 17 from the 1971 Estes Model Rocketry Catalog are shown to the right. A very cool picture, if I do say so myself. A Minolta 35 mm SLR camera was used with 400 ASA film. It was taken sometime around 1992, before digital cameras. 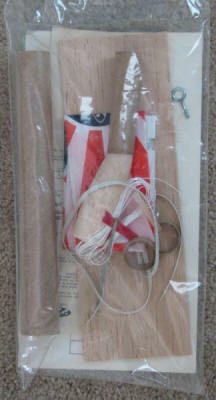 Below is the Estes Astron Alpha model rocket kit that I purchased on eBay. 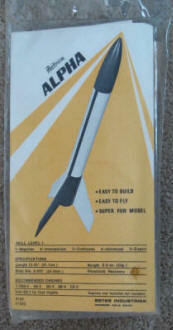 I specifically wanted one of the original kits that does not have plastic fins and nose cone.